Due to the nature of their work, there are specific requirements for athletes and staff looking to work in Canada, either temporarily or permanently. Canada is host to a wide array of sporting events, attracting athletes and coaches from around the world to come and compete in the “great white north”. 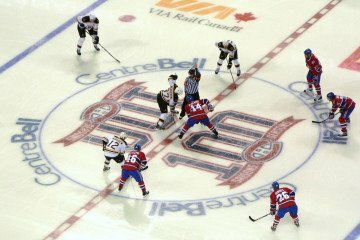 Many Canadian cities have teams that participate in North American sports leagues such as the NHL, NBA, MLB, and MLS, and international sports competitions of all varieties are often held throughout Canada. Due to the fact that many foreign athletes and coaches earn their livelihood through sport, when they come to Canada for sporting events they are effectively working in Canada, technically making them foreign workers. Despite this designation, in the majority of cases, the rules and regulation of the Temporary Foreign Worker Program do not apply in the context of visiting athletes and coaches. To subject these individuals to the rules and procedures usually associated with foreign workers would be overly burdensome and would impede Canada from participating in sporting events/leagues that are international in scope. Therefore, as long these individuals are a member of a foreign-based team or an individual athlete representing a foreign country, a work permit is generally not required. The same goes for any of the foreign team or athlete’s essential personal and support staff. Athletes and staff looking to work in Canada may submit the form below. On the other hand, if a foreign national wants to join a Canada-based sports team or represent Canada as an individual athlete, a work permit must usually be obtained. Even in this scenario however, much of the red tape usually associated with acquiring a work permit is removed from the process. This is because such athletes can be exempt from the Labour Market Impact Assessment (LMIA) application, which is usually the most onerous and problematic aspect of procuring a work permit. 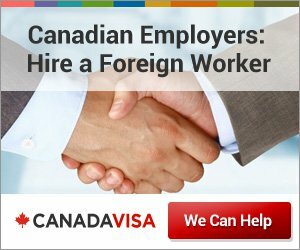 The LMIA is usually necessary to prove that the Canadian employer was unable to find a Canadian to do the job in question. In the case of LMIA-exempt work permits, this protection is not present, and, as a result, these applications are scrutinized very closely — even a trivial error can jeopardize the success of the application. Because of this, and to make sure the athlete in question is eligible for this type of work permit, it is important in these situations to have a well prepared work permit application package. Canadian employers looking to bring athletes and/or their staff to Canada may submit the form below. Non-Canadian employers, such as sports teams and governing bodies, who want to bring athletes and/or their staff to Canada may submit the form below.